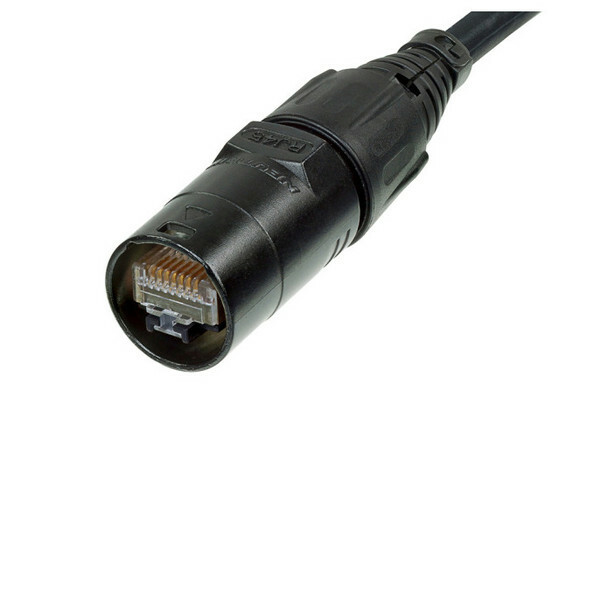 The Neutrik NE8MC-B is a cable connector carrier consisting of a thick shell, fixing disk, chuck and boot suitable for cable dimensions from 3.5-8mm. For non preassembled cables only. Cable connector carrier does not include a RJ45 plug. The etherCON cable connector carrier upgrades a conventional RJ45 connector to an extremely robust lockable solution. IMPORTANT! : Cable connectors do not include RJ 45 plug. RJ 45 cable assembly must be provided by end-user.